Agriculture sector has the lion share in rural economy of Bangladesh. In recent years, the country made spectacular development in agriculture. High yielding varieties, fertilisers, pesticides, irrigation and farm mechanisation played major roles in this development. For irrigation, 15.6 lakh shallow and deep tube wells and 1.7 lakh power pumps are used to irrigate rice, wheat, maize, potato, vegetables, fruit orchards etc. For tillage operation, 7.35 lakh 2-wheel and 4-wheel tractors and for threshing rice and wheat, 3.7 lakh threshers are used. For manufacturing agricultural machinery and its spare parts, importing, repair and maintenance and marketing, more than 5 lakh non-farm jobs have been created, mostly in rural areas. Many other agricultural machinery and equipment are used throughout the country, which have enhanced agricultural mechanization to a very good extent. With increased crop production, many people of rural areas, not working directly in crop production, process crops and by-products and transport those for marketing in village and urban markets, which create self-employment. As farmers can sell their product at a quite reasonable price, it indirectly helps them in enhancing crop production. In many of these works, both skilled and un-skilled workers including women are involved, which has reduced unemployment problem to a good extent. When development of agriculture occurs, financial condition of farmers improves. They can save money to spend in building houses and furniture that creates additional employment for construction workers, carpenters, blacksmiths, mechanics, technicians, transport workers, etc. In this situation monetary flow from abroad, mostly from farmers’ relatives and friends, and non-government organisation increases, which contribute to enhancing crop production. For supplying inputs for agricultural production, like seeds, fertilizers, pesticides, and agricultural machinery and equipment, many dealers and retailers are making business in every nook and corner of the country. Bangladesh government has given high priority in commercial agriculture. Horticultural crops, like fruits, vegetables, spices and condiments, and flowers and ornamental crops are considered commercial crops which give more money per unit of land than traditional crops. More agricultural labourers are required for transplanting, intercultural operation and harvesting of these crops compared to cereal, pulses and oilseed crops. Bangladesh is now number one in the world in increasing fruit production rate and number three in increasing the vegetable production rate. Flower cultivation is increasing at a very fast rate also as farmers can earn more money than most of the crops. It has very good demand in national and international markets and is increasing every year. As a result of increased production of these horticultural crops, processing industries are emerging. At the same time service activities to handle collection, distribution and marketing of these products have created plenty of non-farm jobs. A research in Bangladesh revealed that in 1996-97 fiscal year, the growth of non-farm sector was 6.8 per cent, which was two per cent higher than the GDP (gross domestic product) growth rate. At that time, the share of employment in the non-farm sector was 42-45 per cent of total employment in the rural area. The share of agriculture sector in GDP was 46 per cent in 1987-88, which was reduced to 14 per cent in 2017-18. The contribution of rural labour in crop production as primary or secondary occupation in 1988 was 67 per cent, which was reduced to 22 per cent in 2011. Though the percentages of share of GDP and labour forces in crop production in agriculture sector are decreasing every year, the sector is growing at a satisfactory rate. The contributions of service sector and industrial sector are increasing. This type of phenomenon is very common in all the fast growing countries of the world. Though, labour percentage in agriculture production is decreasing, input supply, post harvest handling, processing, marketing etc. require a lot of labour, the percentage of which, in a survey in Bangladesh, was found to be almost half of the crop production. In another survey, it was found that when the growth rate in agriculture sector was increased by 10 per cent, that in the non-farm sector increased by six per cent. Education and infrastructure play very good roles in rural non-farm employment. Education level of a person determines in what type of non-farm activities he can participate. If a person has secondary level education, he can create self-employment in computer-based work like typing, small printing, internet-based works, photocopying, computer training, etc. As a consequence of good road communication, middlemen for agricultural products can easily purchase and transport those goods to urban areas, which ultimately benefit farmers. As the marketing of agricultural products is increased, farmers get incentives for increasing crop production. Also farmers can buy necessary inputs of agricultural production, like seeds, fertilizers, pesticides, and agricultural machinery and equipment at relatively cheaper rates. A survey in India revealed that agricultural production can be increased and rural poverty can be eradicated at a faster rate if more money is invested in road communication than in irrigation system. As the information and communication technology has increased, farmers can get proper information on prices and markets, both domestic and foreign, which has facilitated them in proper production planning. It has been seen in East Asian countries, such as China, Taiwan, Indonesia, Malaysia and Thailand that when agricultural production increases, non-farm development increases at a parallel rate or even at a faster rate. This can accelerates the expansion of rural industries and commerce in semi-urban and peri-urban areas. In Bangladesh, the same thing has happened. In the late 1980s, rural non-farm activities comprised 42 per cent of the income in rural areas, which has increased to 57 per cent in 2008. As a consequence of good rural road communication and expansion of rural telecommunication already many agricultural labourers have shifted from farm jobs to non-farm jobs, like self-employment in cottage industries, mechanics, repair workshops for small vehicles and electrical and electronic goods, wage employment in rural business enterprises, transport services, construction works, shop-keeping, petty trading, medium and large scale trading, contracting services, peddling, etc. and were able to increase their overall income. Also in addition to farming, many farmers have engaged themselves in various non-farm jobs to increase their income. If training in farm and non-farm sector is enhanced, growth of non-farm sector will further increase. 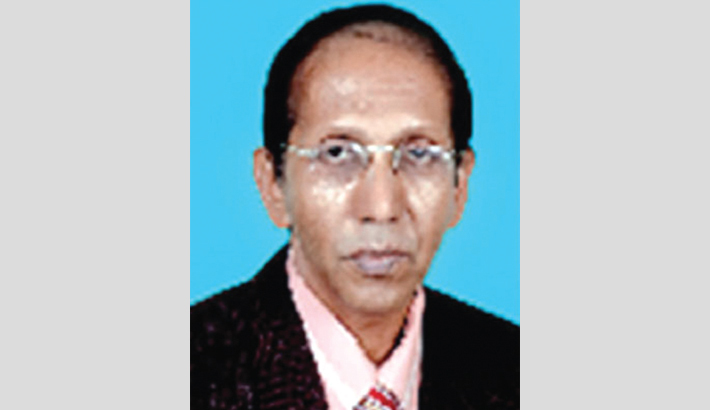 The writer is an agricultural engineer and retired Director General, Bangladesh Agricultural Research Institute.